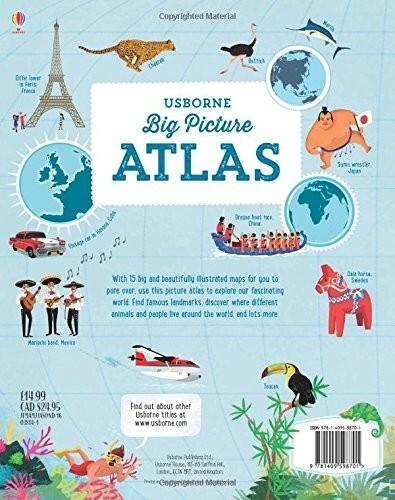 A stunning atlas with 15 beautifully illustrated maps for children to pore over. 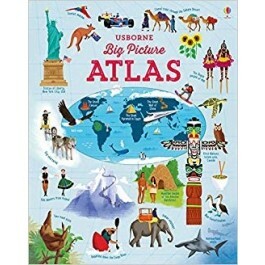 Young explorers can discover the countries, continents, oceans, mountains and ice caps of our amazing planet and learn where different animals and people live. 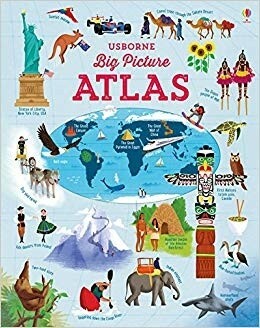 There are fascinating facts about each country, plus flags and capital cities and an index of place names 350 x 288mm. Suitable for age 4+.